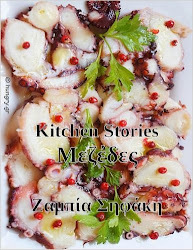 The custom of Pie is very old, has its roots in a feast that our ancestors in ancient Greece did of "Saturn", the Roman "Saturnalia". 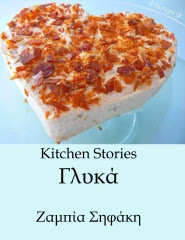 Greek Tradition has various sweet or savory tastes. A key common feature is that all placed inside a coin, usually common, but in some cases gold Constantinato (florin coin) or silver. The most prevalent, and perhaps the most beloved, is in the form of cake with various spices, nuts, with candied fruit etc. 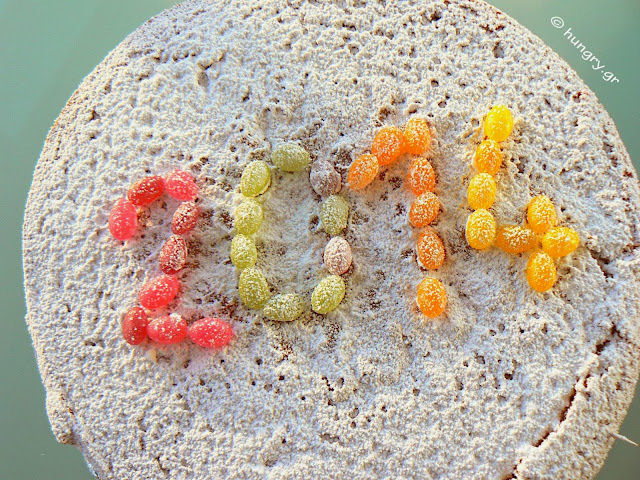 Often written on the pie is the number of the new year. 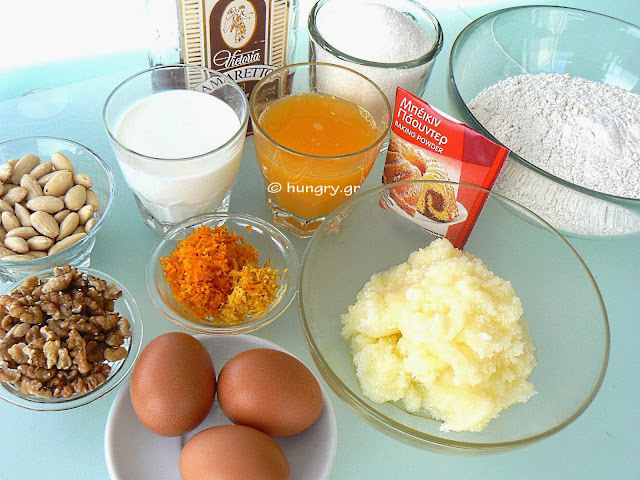 This year's New Year cake is a delicious cake, sprinkled with lots of icing sugar, almonds and walnuts, and very intense aroma of orange. It is inflatable and very fluffy, white and soft crumb. 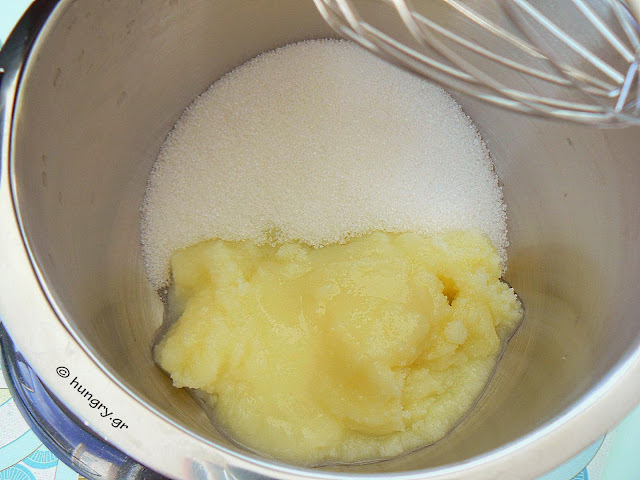 In the bowl of a fixed mixer put the sugar and butter, which should be at room temperature. Beat well until the mixture is smooth and whitened for 7'-8'. Meanwhile, cover with foil or greaseproof paper the basis of a hinged form Ø26cm-28cm (Ø10.2-11 inches). Grease and flour well. Roll the coin (and your desires) in a piece of aluminum foil and place in the base of the form. It is best to put it closer to the perimeter of the form rather than in the center. 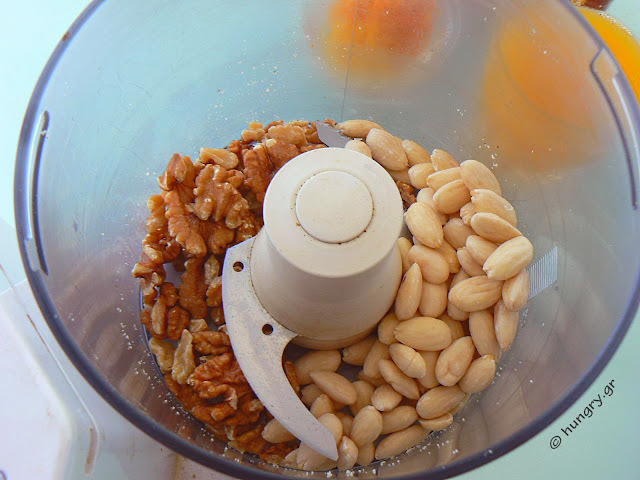 In blender crush the nuts, so as to keep a little, do not let them become flour. 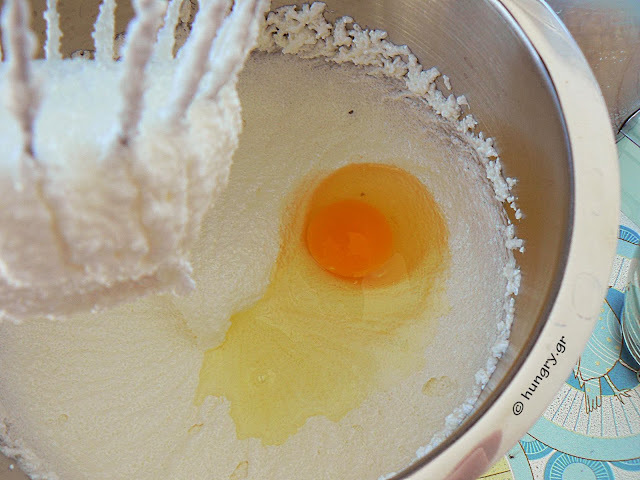 When the butter mixture is ready begin to pour one by one the eggs, incorporating it every time in the mixture. 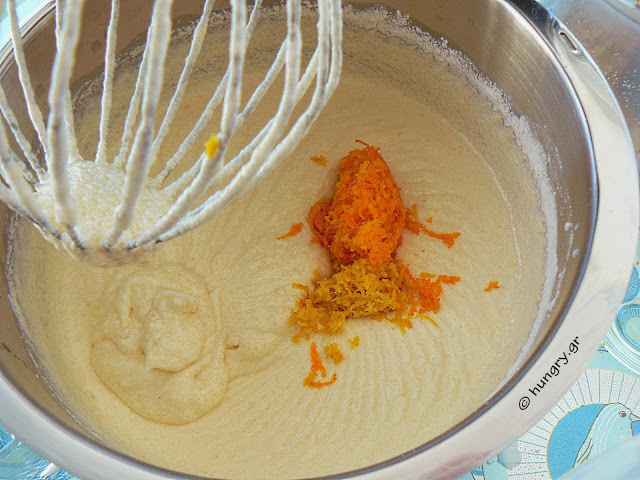 Add the zest of lemon and orange. 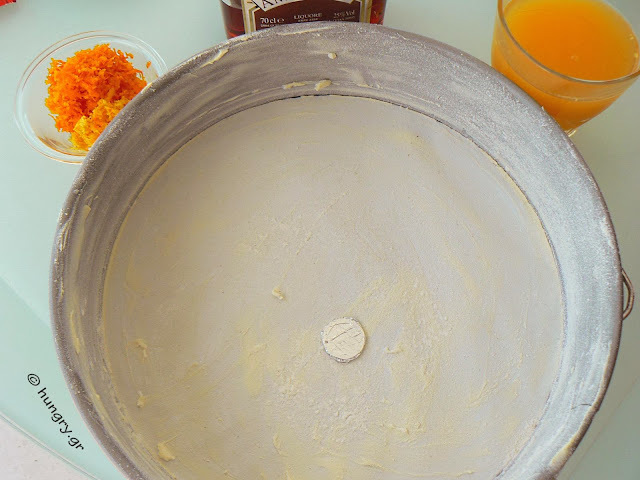 Stir and begin to add little by little the flour alternately with the orange juice and milk. Add the baking powder, salt, and baking soda. 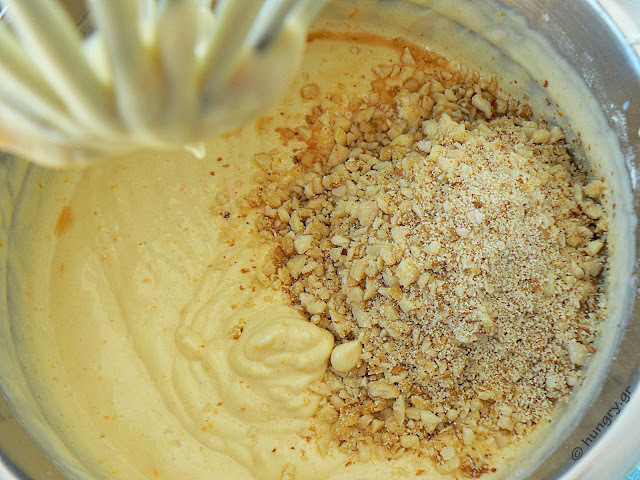 Add the amaretto and grated almonds and walnuts. 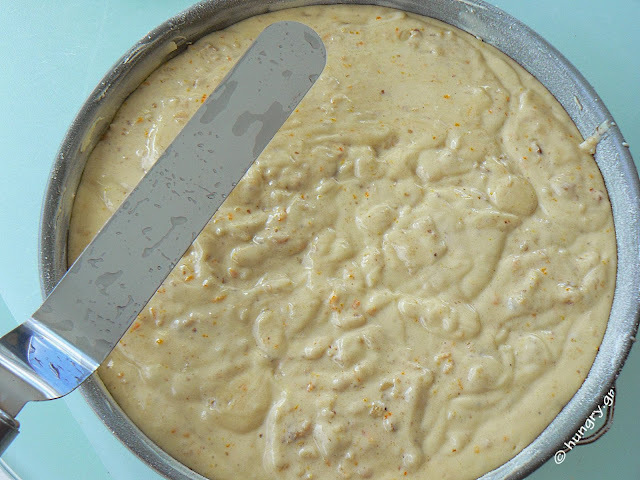 Pour the beaten mixture into the prepared Vassilopita (New Years cake) form. Using a metal spatula, lay the wet surface to be flat. Put the form in a preheated oven at 160°C (320°F, Gas 2.8) and bake for 60 minutes until cooked. We test with a toothpick that comes out clean. You place it onto a wire base to cool. Sprinkle with lots of icing. 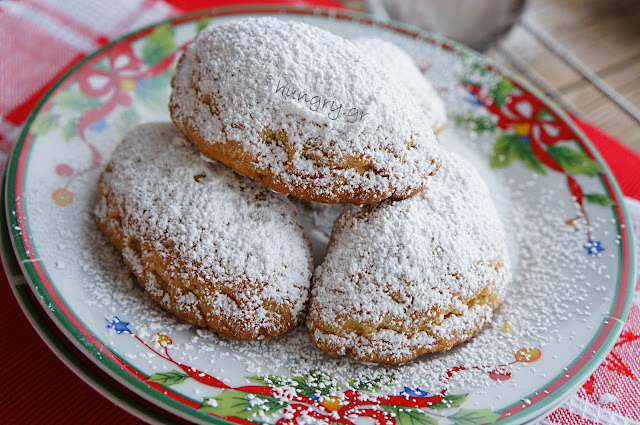 The melted, fresh, goat sheep butter, traditionally used in buns when it is of good quality and well hit in the mixer gives incredible flavor and moisture to Vasilopita. Makes it very fluffy and light. Do not miss it in spice of the suggestions that weighs flavor preparations. Try it in the cakes too. It gives flavor. 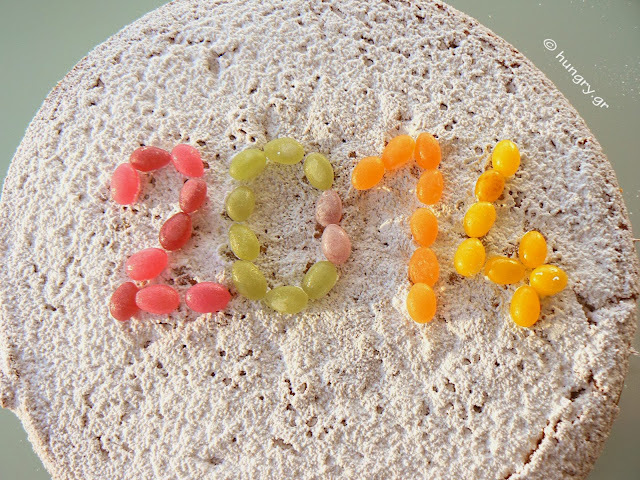 New Year's cake to welcome the 2013. 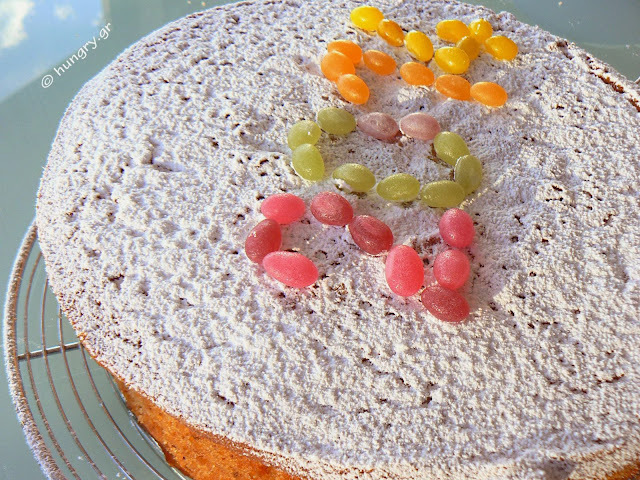 Delicious ingredients, fluffy dough and a coin for this classic New Year's cake. The kids are fans of this custom, since in their eyes, each piece of cake, includes magic, joy, hope and luck! I hope you are lucky this Year in all aspects of your life. 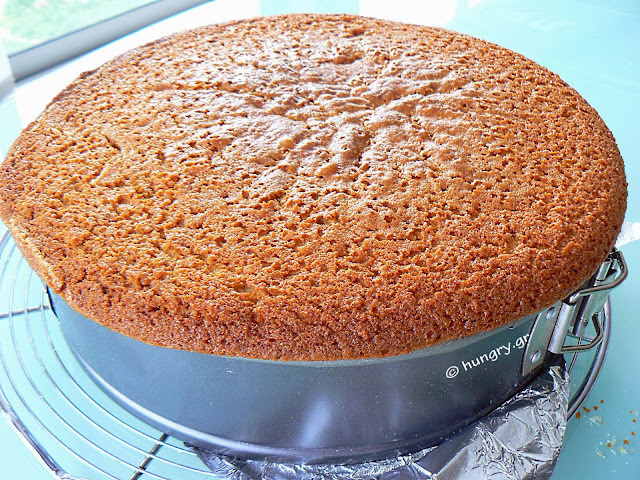 Cake fluffy, soft and with a delicate taste of blueberries, fresh or frozen. Fruits with great flavor and many nutritional properties. Of course this dough makes it easy to add any other fruit fresh or dried, and every time to be just as tasty. The ease and speed of execution make it tempting to opt for when we wish for a quick accompaniment to our coffee or tea.